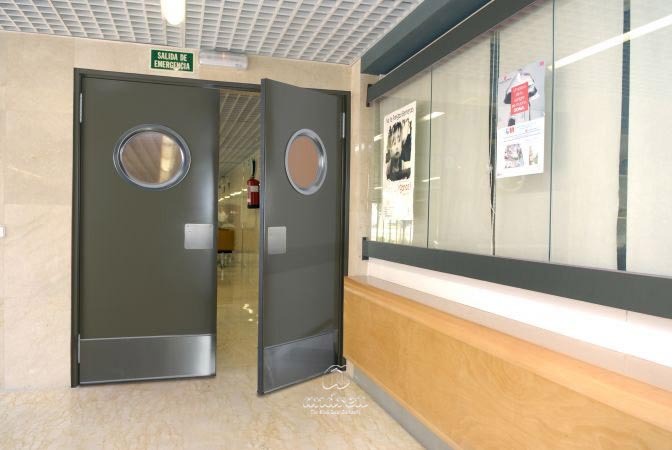 Office Swing multipurpose metal doors model. Double opening sense. A 38mm thick leaf without overlap, constructed with two 0.7mm thick galvanized steel plates, assembled without welding. It incorporates a polyvinyl weather-strip on the edge, which smoothes the closing while it seals the set. 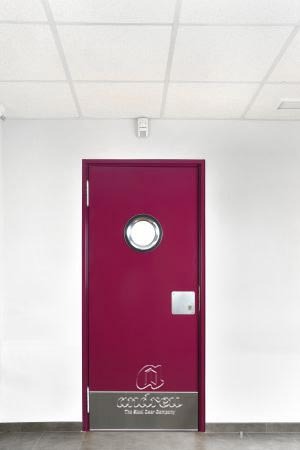 With versions of 1 and 2 leaves, with or without ventilation and with the possibility of special measurements and accessories, it comes to expand the already wide range of Multi-purpose doors, offering a high level of finishing and customization options. It has 2 or 3 double-action hinges on each leaf, depending on the size of the door, with adjustable spring force. 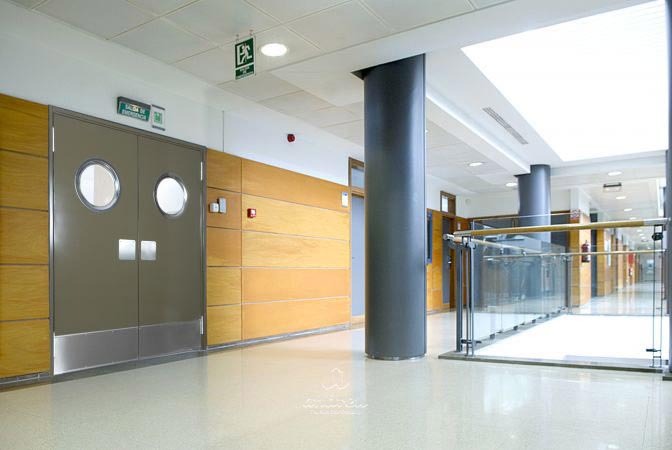 These are supplied as standard in silver aluminum, providing an option in other finishes or in stainless steel. 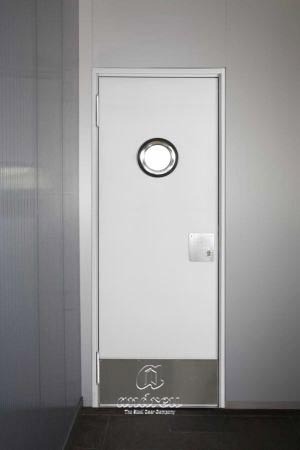 For starters, it does not have any drive, but there is the option of mounting a barrel lock with or without key, with the possibility of combining it with a stainless steel square plate. It offers 2 models of frame, depending on the type of installation. The CS7V corner frame and the C7V non-corner frame. They both come prepared with both talons and with a screwing system for the set or with a specific sub-frame or directly to work.